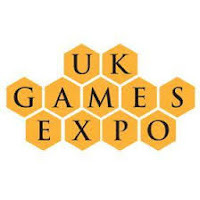 Registration for the Playtest Zone at the UK Games Expo 2019 is now open. This event is for designers, who would like members of the gaming public to sit down and playtest their prototype, so that they can make improvements. It runs during the day from Friday 31st May-Sunday 2nd June 2019. Playtest UK volunteers will be available on the day to support you and feedback forms will be available. All playtesters will be entered into a prize draw to win games. 2. (From 10th March) Designers who register for a 3 hour session will be contacted to give a donation to charity and when confirmed they will be given a link to reserve one session on the Friday, Saturday or Sunday. 3. (From 31st March) Designers who register for a 90 mins session will be contacted and given a link to reserve one session on the Friday, Saturday or Sunday. In the first instance all designers will only be able to reserve one session, to give everyone a fair chance. This restriction may be relaxed nearer the UK Games Expo. In the last few years we have been booked out before the event, so please register as quickly as possible to avoid disappointment. 4.Volunteers: The Playtest Zone wouldn't be possible without our red-shirted volunteers. Anyone who volunteers to help out for a morning or afternoon session at the Playtest Zone will get an opportunity of priority booking, a red Playtest UK t-shirt to keep and a free day ticket for the UK Games Expo 2019. Please note that after 10th March (3h sessions)/31st March (90mins sessions), designers should be contacted within one week of registering with details of how to reserve their space. If you have any questions please check the UKGE FAQ tab or feel free to contact Rob Harris via the usual contact form. Registration for the Playtest Zone at the UK Games Expo 2018 is now open. This event is for designers, who would like members of the gaming public to sit down and playtest their prototype, so that they can make improvements. It runs during the day from Friday 1st June-Sunday 3rd June 2018. You will be able to book 3 hour playtesting sessions (which require a £12 donation to an Expo charity) or 90 minute sessions (which are free). Designers who have registered their prototypes for the Playtest Zone will be contacted at a later date to confirm their times and bookings. As part of the revamp of Playtest UK, we are looking to update our logo will a more professional looking version. Robb Smigielski has very kindly created a treatment of various possibilities and it would be great to get the feedback of of members to make sure that we have retained the right feel and image. The Plymouth Playtest meetup group is run by David Manley and their next meetup is on Tuesday 11th December at The Marina Bar, Plymouth, PL4 0DN. London, Newcastle, Cambridge, Cardiff, Edinburgh, Brighton, Bristol, Birmingham, Leeds, Sheffield, Oxford, Reading, Norwich, Enfield, Bath, Redruth, Dundee, Croydon, Southampton and Plymouth, where designers and playtesters can meet up to play games and give each other feedback. Playtest UK will be returning to Dragonmeet for the 8th year to run the Playtest Zone. 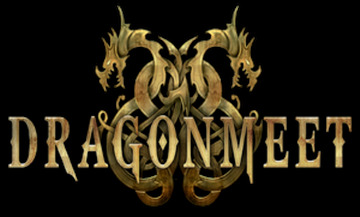 Check out the www.dragonmeet.co.uk website for more details. This year Dragonmeet will double in size and take over both floors at the Novotel Hammersmith, London W6 8DR. We will be playtesting from 10am until 6pm. This will be a public playtesting event for card games, board games, digital game prototypes. If you are a games designer, this is a perfect opportunity to play your game with the great gaming public and receive more feedback in a day than you usually would in a month. There will be a prize draw for playtesters that sit down to play a prototype. Adult Tickets can be bought from the website for about £10 each (or they are £12 on the door). Under 16's tickets are free with an adult. Transport: I would advise against driving as parking in this area of London is very expensive, but the venue is a short walk from Hammersmith and Baron's Court rail & tube stations, which are on the District & Piccadilly lines. We are looking forward to running several events at UKGE2018 like the Playtest Zone, networking night and Designer-Publisher speed dating. Please note that registration for these events will not open until January 2018. Please keep an eye on our website for more details. 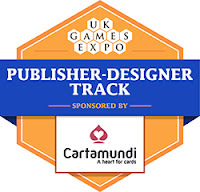 All playtesters at the Playtest Zone at the UK Games Expo 2017 were entered into a prize draw, kindly sponsored by BoardGameGuru, the online boardgame shop. The prize was a copy of the board game, Olympus and the lucky winner was Nakita Gilbert.